Old-fashioned cottage gardens can be a treasured addition to a home and will deliver charms and delights season after season, with some attention to details. Cottage gardens were originally small plots of land next to peasants’ cottages. They were filled with homely crops, mixtures of vegetables, herbs, and perhaps a fruit tree. The garden’s purpose was not that of a decorative landscape, but rather, a source of food. Then, in the late 1800s, Gertrude Jekyll, an English gardener, landscape designer, and author, began designing gardens for family and friends. Her reputation grew, as did the gardens, and her skills steadily were in demand throughout England and Europe. She was responsible for raising the lowly cottage garden’s useful non-design to living and breathing high art. Cottage gardens usually look best with smaller or less formal houses, as that is their original nature. For those who prefer clipped shrubs and formal topiaries, a cottage garden is probably not the best choice. When the Romantic Movement began, cottage gardens became places where the creative spirit could blossom and grow along with the plants. Poets praised them and found inspiration in the plethora of colors, textures, and scents. The more comfortable modern life is, the more often people tend to turn to the classic beauty. This is true of cottage style gardens. It is a combination of natural beauty, re-purpose vintage items available in your home. It gives you the feeling of relaxation after a tired day. Use the ideas in this article to make a difference to your garden. 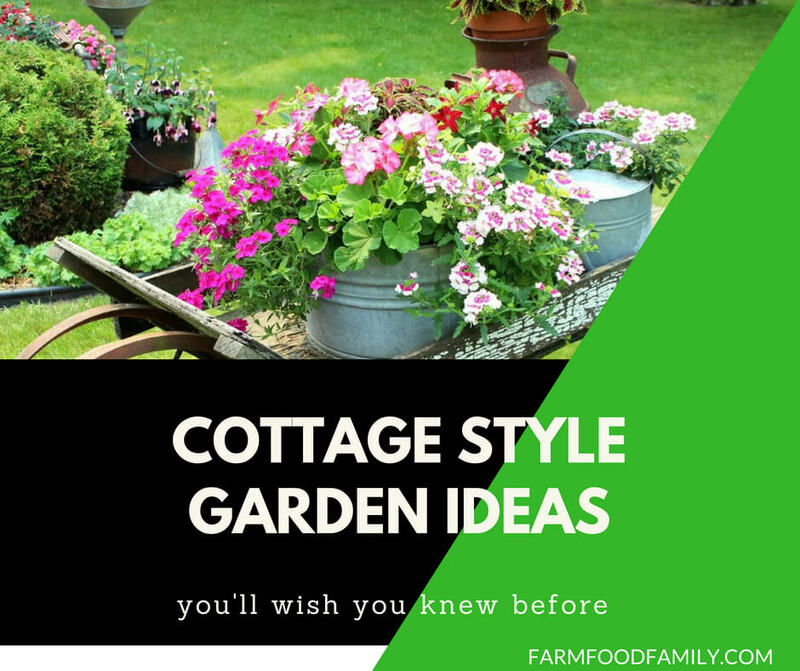 Here’re these 50+ beautiful cottage style garden ideas and plans.